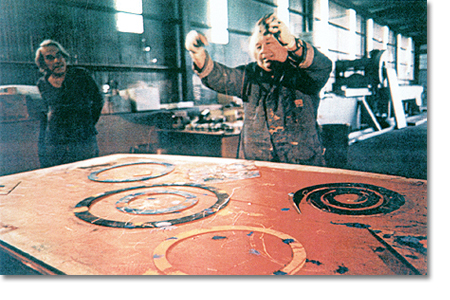 Sam Francis & Walasse Ting painting in Sam Francis studio. 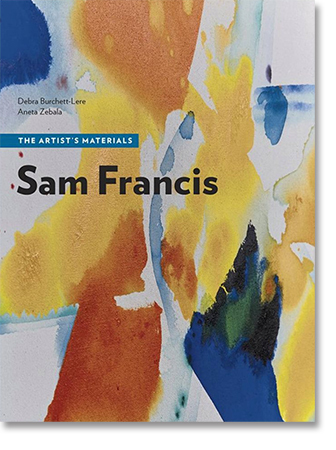 This innovative and long-awaited catalogue raisonn� brings together, for the first time, all the known paintings on canvas and panel of California-born abstract expressionist Sam Francis (1923�1994) and offers a comprehensive chronicle of his artistic journey. One of the twentieth century�s leading interpreters of light and color, Francis maintained studios not only in New York and Los Angeles, but also in Paris, Bern, and Tokyo, making his reach truly international. 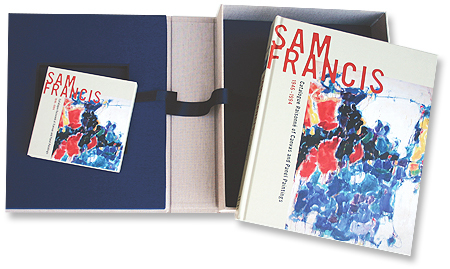 Elegantly boxed, the Sam Francis catalogue raisonn� includes a richly illustrated book with informative texts and two DVDs with authoritative entries for the canvas and panel paintings in an easily browsable, groundbreaking format. It offers the ultimate reference on this artist and a vital research tool. 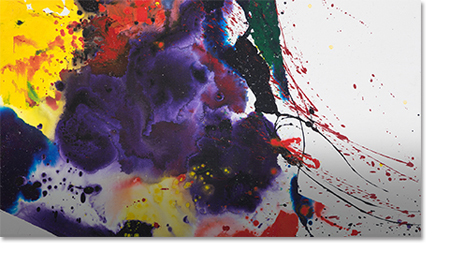 Debra Burchett-Lere is Director and Curator of the Sam Francis Foundation. William Agee, Evelyn Kranes Kossak Professor of Art History at Hunter College, City University of New York, is coauthor of Coming of Age: American Art, 1850s to 1950s, author of Sam Francis: Paintings 1947-1990, and contributor to many books, including Patrick Henry Bruce, American Modernist: A Catalogue Raisonn�.